Can an Australian Tesla emerge from wreckage of car industry? 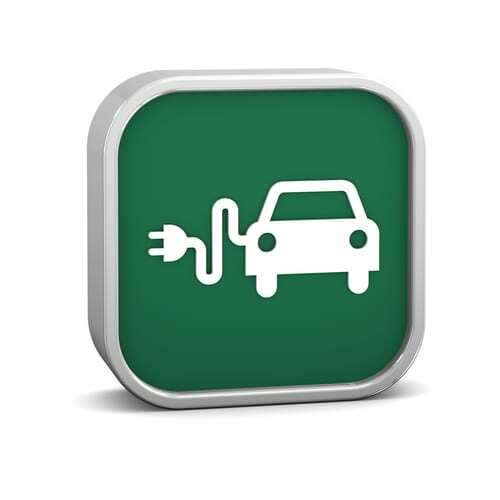 As RenewEconomy noted last year, the utilities industry has been looking for some time to EVs, and its infrastructure of storage and charging stations, as an antidote to declining demand and the threat of the death spiral. It’s about the only way they can see themselves being able to buy into the new distributed energy model. It is remarkable to see how vocal those interests have become. The major utilities are now actively pushing EV adoption in their submissions to the Energy White Paper and other reviews. Could their involvement lead to the development of a “clean car” industry in Australia. There is an awful lot at stake, and an awful lot of reasons why it could. The Australian Electric Vehicle Association says the departure of Mitsubishi, Holden, Ford and Toyota – owing to their “uncompetitive business models”, presents Australia with a unique chance to foster its own auto-manufacturing capacity. It notes that the exits of the big carmakers mean Australia will have three production lines available, excellent auto design skills (Australia is one of the few in the world to be able to design and build a motor vehicle from concept to delivery, and expertise gained in the construction of the hybrid Camry. The success of Tesla showed how EVs could appeal to the market. It also notes that the high penetration of domestic solar in Australia is a natural fit to charge EVs at home, and 140,000 households who cashed in on the NSW solar bonus scheme will be looking for something to do with their excess capacity when those tariffs finish at the end of 2016. Such ideas are likely to gain support from the utilities industry – retailers, generators, and network operators, to address the significant over-capitalisation of the network, and to arrest declining demand that are affecting other areas. Origin Energy, for instance, is promoting the deployment of electric vehicles as one area of abatement that should be encouraged through the Direct Action process. “When bundled with a renewable energy product such as GreenPower, EVs can provide a zero emissions solution,” it writes in its submission to the Senate inquiry on Direct Action. This theme has been taken up by AGL Energy, which says in its submission to the energy white paper that EVs could reduce the Australian economy’s reliance on imported liquid fuels by substituting domestically-generated electricity. “This represents a significant opportunity to improve Australia’s structural trade position and energy security,” it says. Further, EVs have zero tailpipe emissions, and therefore do not contribute to air pollution or ‘‘smog.’’ Over time, high EV uptake could significantly improve air quality in urban areas. AGL Energy argues that charging EVs, even in Australia’s current fossil-fuel dominated generation mix, would produce around 18kg of CO2e per 100 km of driving, about 35 per cent lower than an average petrol car, although roughly equivalent to a new midsize petrol sedan or hatch. And it says the electricity fleet will likely clean itself up much quicker than the petrol fleet. EVs charged using accredited GreenPower (as at 2010) would produce 2 kg CO2e per 100kms. AGL Energy says that with the right price signals – such as time of use pricing it has been promoting for years, would enhance the utilisation rate of existing electricity grid infrastructure, and reduce unit pricing for all consumers. It suggests that Australia should consider government targets or mandates for electric vehicle uptake. As the AEVA suggests: Electric vehicles present a major electricity storage option for the grid, as vehicle-to-grid energy flow would allow more intermittent sources of electricity such as that from solar and wind, to be utilised as the need arises. We believe that further investment into the development of “smart” electricity distribution networks is essential, and would deliver considerable efficiencies if executed properly. A high price should be offered to households who re-supply electricity from fully charged EVs, as this represents a premium reserve which can be accessed rapidly. In short, an Australia EV manufacturing industry is a potential answer to so many issues – an Australian manufacturing base, employment, electricity bills, network death spirals, and emissions reduction – it could encourage the uptake of solar and other renewables. Bit of a no brainer really. Update: This week, an EV battery charging facility powered by dual-axis solar trackers was installed at Kangaroo Island’s airport. The system will provide more than 100MWh of electricity, enough to offset the consumption of the local airport, and combined with 14kW rooftop solar PV system on Council Chambers, will support the charging of three Nissan LEAF electric vehicles.